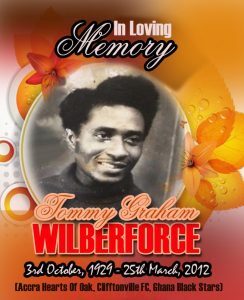 Today marks seven years since the death of former Cliftonville goalkeeper Tommy Wilberforce – the first Ghanaian footballer to play in the UK or Ireland. 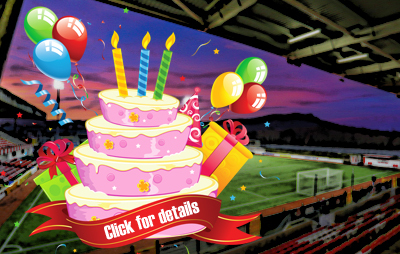 Tommy’s first visit to Solitude came when he was part of the travelling Gold Coast squad that was beaten 4-2 by the Reds on August 16, 1951. 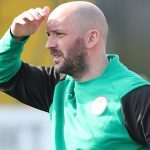 Described in the night’s match programme as “brilliant, agile and fearless”, Wilberforce – who suffered a fractured leg in the team’s 5-2 loss to an Irish League XI at The Oval a few days earlier – watched from the sidelines as fellow keeper Vanden Bossche was beaten by Norman Reid to give Cliftonville a half-time advantage. 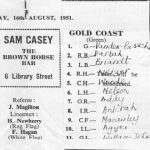 An own goal from Neizer made it 2-0 before the Gold Coast – who famously played in bare feet on a pitch that gradually worsened thanks to a late downpour – pulled one back through Addy only for the hosts to restore their two-goal lead courtesy of Bruce Shiells. 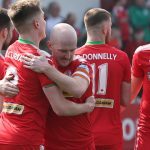 A penalty from Wallace Johnson, which a contemporary report notes was “lucky to be awarded” with no fewer than three players said to be offside, saw the visitors move back to within one goal of Cliftonville, who wrapped up the scoring when Terry Mills found the net from 20 yards. 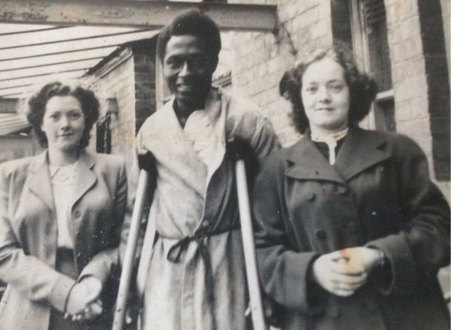 Three years later, Wilberforce – who played for Accra club side Hearts of Oak – moved to England to study electronic engineering, with a subsequent scholarship from a newly independent Ghanain government bringing him to the College of Technology in Belfast. 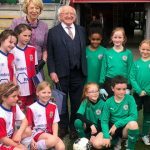 It was here that he resumed his association with Cliftonville, for whom he made six appearances between 1958-1960, however a series of impressive performances for the Olympic looked set to secure his place as the Reds’ first-choice keeper until disaster struck again. 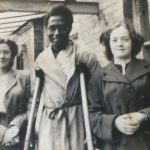 Capped five times by his country, Wilberforce was forced to retire in April of 1960 when doctors warned him that he risked aggravating a strained heart condition by continuing to play. “I must think of my wife Julia and three children now,” he said when confirming his decision to quit the game. 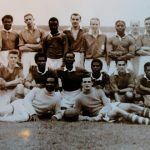 Tommy passed away at the age of 82 on March 25, 2012 and, on the occasion of the seventh anniversary of his passing, Cliftonville Football Club are today pleased to remember and pay tribute to a true trailblazer for Ghanaian footballers.